Product Details Get a detailed look at U.S. crop acreage distribution at the county level for 21 major crops. 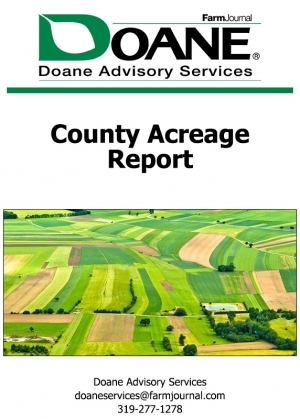 Includes historical data and five year forecasts derived from Doane's proprietary algorithm. Report provided as a zip file containing Microsoft Excel workbooks, allowing you to sort by your needed region or sales territory. Crops Included: Alfalfa, Barley, Canola, Corn, Cotton, Dry Beans, Durum, Flax, Oats, Other Spring Wheat, Peanuts, Potatoes, Rice, Sorghum, Soybeans, Sugarbeets, Sugarcane, Sunflowers, Sweet Potatoes, Tobacco, Winter Wheat. This report is released twice per year. 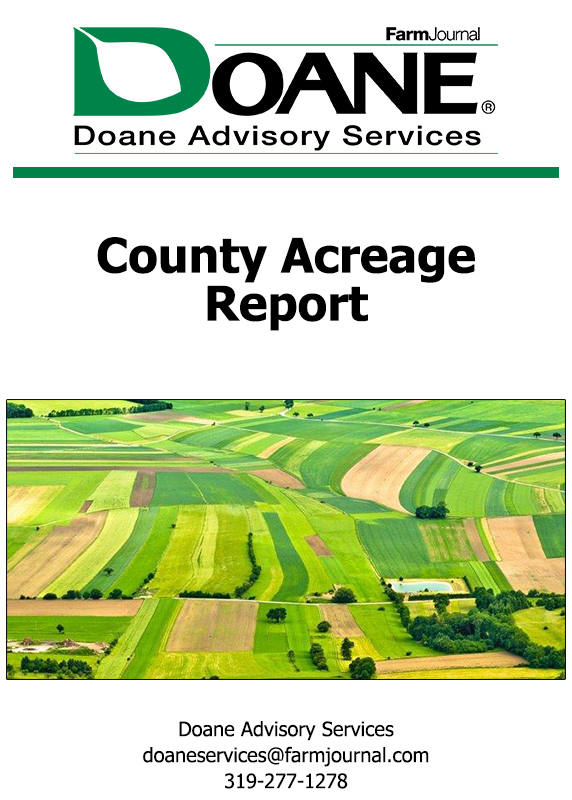 To subscribe to this report or other Doane Advisory Services, please call: 1-319-268-4361.